The Diaries of a Glam Mama: 8 Cool Monochrome Toys For Babies! 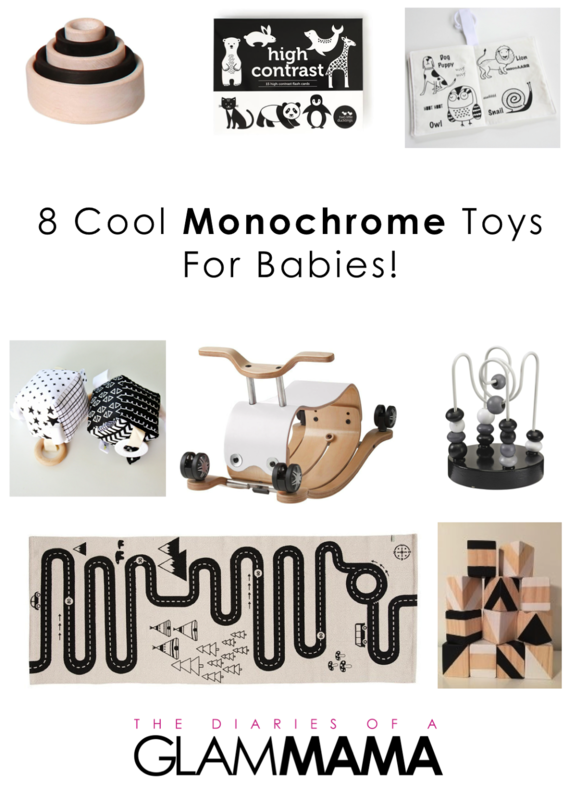 8 Cool Monochrome Toys For Babies! It's no secret I'm into all things monochrome right now. And with Adam's first birthday coming up in exactly a month (please hold me, I'm not ready! ), I've been looking at all the monochrome toys available out there. Let's just say there's some pretty cool stuff available nowadays that isn't plastic fantastic and/or blindingly bright! The only thing on this list that I actually own! This toy is fun, educational, and looks pretty cool up on a foyer table in my home right now haha. This toy is a great way for babies and toddlers to sharpen their fine motor skills, and the small size makes it perfect for travel as well! We all know Grimm's famous rainbow wooden toys. But did you know that they made the same products in monochrome tones as well?? The same iconic toys in hip colors (or, well, non-colors) - very cool indeed. The Wishbone Flip is one of those things that I wish I had when I was small! Easily converted from rocker to ride-on scooter (seriously, watch this video), this is a toy that will give joy to toddlers up to pre-schoolers. That's years and years of fun times and banging into walls, I suspect. Ok so this isn't technically a toy, but it's definitely a fun surface FOR toys, so that counts (right?). 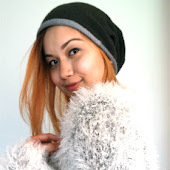 This is another example of having something that's both fun for kids and chic for adults. It'd fit in perfectly as a decorative element in any home! Adam's in a "throw everything on the floor" phase so this soft cube will just bounce right off instead of falling with an almighty racket like some of his other toys. The fiddly bits are perfect for chewing on too - a phase that won't end anytime soon, methinks! 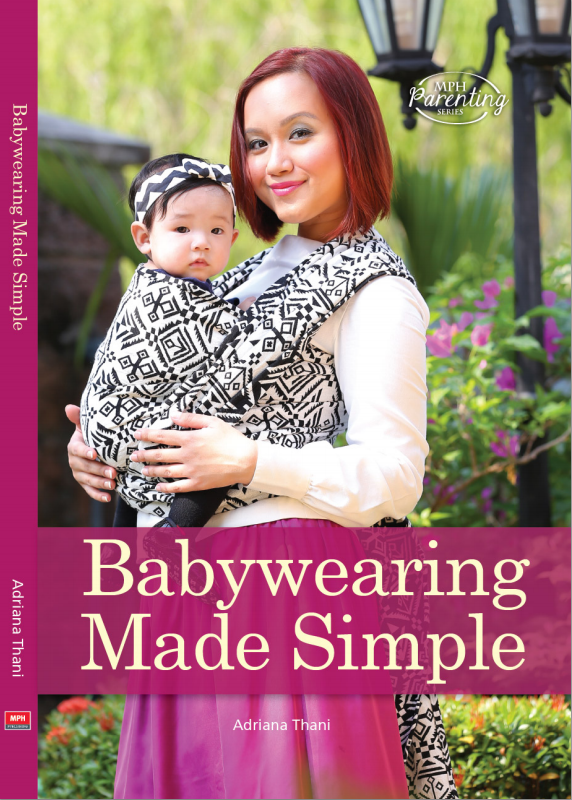 Books are a fantastic gift for babies. Most people wouldn't assume that, given that babies can't read. But reading to babies are a fantastic way to encourage a love of reading in the long run! And who wouldn't love this organic, handprinted, machine washable (!) book, really?? I LOVE flash cards with kids, and just like books, you can never start too early! These high contrast flash cards are perfect for even the newest little babies, and has rounded corners which are perfect for older bubs too. Wooden blocks are a classic staple in any playroom, and these have a cool factor that the multicolored ones just lack! I can imagine this still being in Adam's room when he's older - maybe as paperweights or something - but still wouldn't be out of place even when he's a teenager.